Add some color to your Education Plaque today, by customizing a 6" x 8" Education Plaque with 3-dimensional resin plaque mount, you're the boss! Simply select "FEELING CREATIVE? CUSTOMIZE HERE" button (above), and the options you have will amaze you. 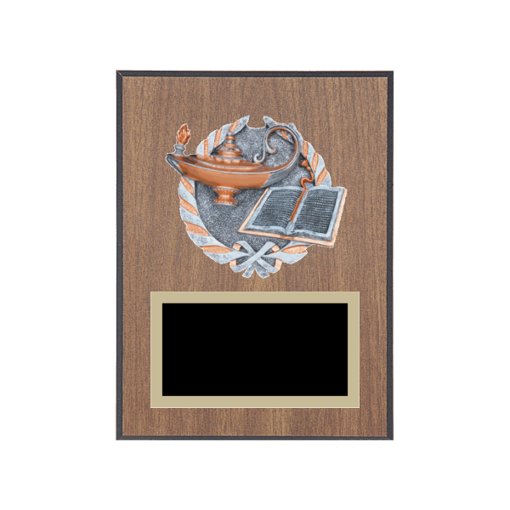 From plaque board choices to engraving plate choices, you have over 100 options for creating a unique engraved plaque for any Education Event. Choose Newline today, and you will discover what makes us great- year after year.